Elephant Facts and Information. Feeding, habitat, distribution, reproduction, anatomy and more. Facts about the large African Elephant and the Asian Elephant. Elephants are such a common symbol in popular culture that it seems faintly peculiar to try and ‘introduce’ them. They are, as we all know, the largest land mammals still extant in the world; they have thick legs and long trunks and wrinkled grey skin. The friendliness and sociability of elephants is widely known and has led to them joining the ranks of the most beloved wild animals on the planet. It’s very commonly known that African elephants have larger ears than their Asian counterparts, but this is not the only difference. The skin of Asian elephants tends to be softer and smoother than that of African pachyderms. This is perhaps as a result of the slightly more forgiving habitat, meaning that they have a little less need of protection from harsh sun over long periods of time. All African elephants have tusks, including every single female – they use these tusks frequently, and appear to be chiral in relation to them. Some asian bull elephants, on the other hand, quite often have no tusks at all – and cows almost never do, or at the very most have only vestigial tusks obscured by their upper lip. Where African elephants rely on their tusks, Asian ones are more likely to use their feet – which means that they also have clearly defined toenails that can be used for scraping, digging and manipulating foodstuffs and other objects, something which African elephants lack. Asian elephants are noticeably smaller than those found in Africa, too. An African elephant, particularly a male, is by far the largest land mammal that has yet to experience extinction – while Asian elephants are relatively petite in comparison, with more lithe bodies and less overall mass. 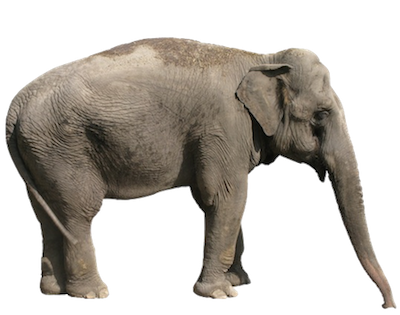 Their trunks, however, are roughly the same length – which combined with their decreased size has led to a misguided assumption by some that they are in fact longer, as they seem longer in comparison with the body. Science fiction author and world-renowned genius Arthur C. Clarke once famously said of the blue whale that “we do not know the true nature of the entity that we are destroying”. In many ways, the same seems to be true of the elephant – and prominent scientists, rationalists and academics of the 21st century have quite frequently become involved with movements to have elephants – along with dolphins and chimpanzees – internationally recognized as “non-human persons”, with all the rights that this would confer. Many well-known public individuals have spoken out in favor of this proposal, and it has gained a perhaps surprising amount of traction even outside the animal rights community. Elephants are a severely endangered species in every part of the world in which they live, and no amount of conservation work has yet been able to reverse the damage done by centuries of hunting, poaching and slaughter. All elephants belong to the family Elephantidae. Within this family there are two genii – Loxodonta and Elephas. The latter of these genii contains just one species, Elephas maximus, more commonly known as the Asian elephant. Until very recently it was believed that the same is true of the former genus, and that Loxodonta africana was the only species of African elephant still extant. Over the past few years, however, scientists have come to suspect that one supposed subspecies of this elephant – previously known as Loxodonta africana cyclotis, is in fact a species in its own right. The newly discerned species has come to be known simply as Loxodonta cyclosis, and it is more commonly known as the African Forest Elephant, while the original common name has been adjusted to African Bush Elephant to make this clear. 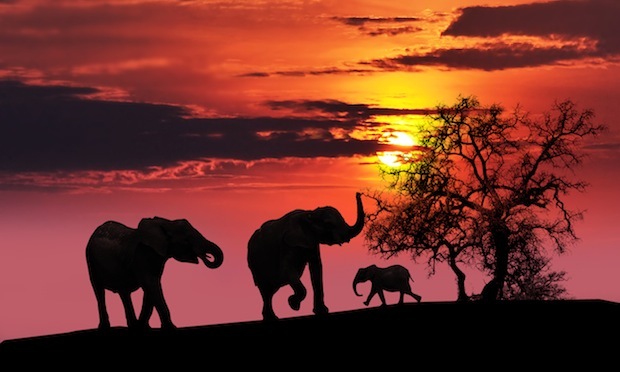 As can be discerned from their common genus names, elephants are indigenous to both Africa and Asia – and both continents have plenty of tales and religious observations to go with them. One of the principal Hindu gods is depicted as having an elephant’s head to represent his long memory and great wisdom, and there are a wide variety of African folk tales explaining how it is that elephants are as intelligent as humans. Even outside of Africa and Asia, some myths and legends have seen the influence of elephants. For some reason, almost every historical account of elephants describes them as being afraid of mice. This entirely untrue myth began before the invention of writing and persists to this day, despite the fact that nobody actually knows where it originated.